Winning on the road has become a common feature of this EuroBasket Women qualification series. During the last series of games with Lithuania, Israel, Turkey and Great Britain all walked away with road wins. Montenegro had a tough night in getting past Hungary (75-73) to stay on top of Group C.
Lithuania completed the double over the Netherlands (80-67) to consolidate their position on top of Group A. It was also a good night for Julie Page from Great Britain who led her side to victory with 20 points against Germany while Nevriye Yilmaz (left) led Turkey with 18 points, 12 rebounds and 4 assists to beat Bulgaria. Croatia completed the double over Italy (74-63) and as a result move into second place in the group. Italy spent most of the game playing catch-up. With 28 minutes played they were back on level terms (46-46). However 5 points by Iva Sliskovic and Jelena Ivezic put Croatia back in charge going into the final quarter. Italy were unable to make up the deficit despite the 16-point haul by	Kathrin Ress. Ivezic led the Croatia attack with 18 points. Lithuania made up for their recent defeat to Italy by beating the Netherlands (80-67). Sandra Linkeviciene was the match winner for the visitors. She scored 17 points, collected 15 rebounds as well as dished out 6 assists. The victory keeps Lithuania on top of the group while the Netherlands are holding everybody up at the bottom end of the table. Shay Doron (on picture, 22 points) had the last say over Gunta Basko (19 points) and Latvia as Israel pulled off a road win (71-66). Israel did not get to play in Riga during EuroBasket Women 2009 after having been eliminated during the group phase without winning a single game. Israel almost ran out of steam as they lost a 9-point lead in the final quarter. Basko brought Latvia back into the game with a 4-point play that tied the match with about 70 seconds to play. Israel picked themselves up and did the rest of the scoring from the free-throw line with the last pair going to Doron. Serbia did not give Romania much of a chance and ended the game as a contest with a 21-5 third-quarter performance (68-33). Jelena Maksimovic from Serbia had one of those days when it is difficult to miss. All her shots and free throws were on target in her 21 minutes on court. 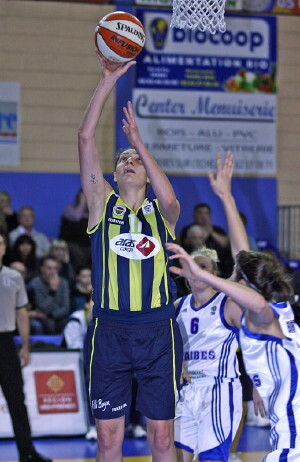 She finished the match with 22 points and 9 rebounds in the (87-52) victory. Zsofia Fegyverneky scored 32 points for Hungary but it was not enough to beat Montenegro. Ana Baletic and Jelena Skerovic's free throws during the last seconds secured the victory for the hosts. "It was a very difficult game, but we managed a big win. We had been feeling the tension because this game was very important for us. We made a lot of mistakes. But [we won also] thanks to the fans and because of how they supported us all they time; they've been our extra player." Montenegro need a couple more wins to secure a place in the EuroBasket Women finals. The Bulgarians should wonder how they managed to lose a match in which they had a lead of 20 points late in the second quarter. Turkey did not have the perfect game. They started slowly and turned the ball over 22 times. Nevriye Yilmaz led the Turkish charge and put her side in front (49-47) with five minutes left to play. Jaklin Zlatanova from Bulgaria and Yilmaz traded baskets before Esmeral Tuncluer put Turkey finally on the road to victory (63-60). During the summer of 2008 Germany and Great Britain won on each other's territory. The trend is continuing with Great Britain beating Germany (72-63). Linda Fröhlich (left) and Julie Page who top scored for their sides had been both absent during the 2008 series. Germany paid the prize for a poor first quarter in which they allowed their guests to open up a 12-point lead. They ended up chasing after the score for 32 minutes without ever getting close enough to tie the game. Fröhlich fired in a game high 25 points. But she was the only player in double digits for Germany. 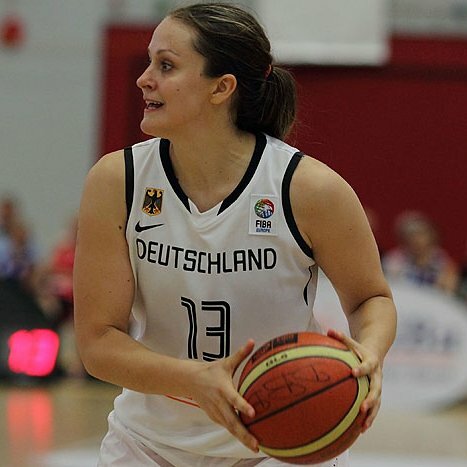 Page who played for two seasons in the German league fired in 20 points while Natalie Stafford and Johannah Leedham contributed 16 and 13 points each in the Great Britain victory. The Slovak Republic started badly against Ukraine. It was not until a 10-0 run at the end of the first quarter and early in the second quarter that they took control of the game (22-14). A third-quarter blitz, 23-8, by the hosts brought an end to the match as a contest. 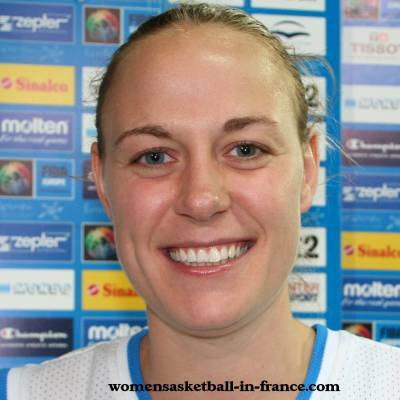 Once again Lucia Kupcikova paced Slovakia to victory with 16 points and 10 rebounds in the (82-53) victory.